Religious institutions in America have found themselves increasingly under attack by the left in recent years, with their vicious media regularly piling on. Whether it's going after football coaches for praying on the field after games in the name of separating church and state, attacking houses of worship as bigoted or bankrupting business owners for refusing to give up their religious beliefs, there's been an onslaught. 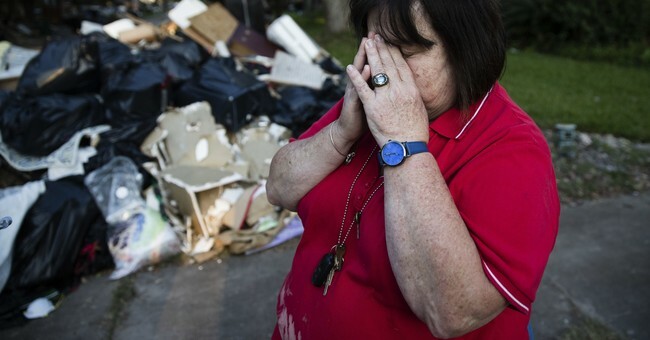 But according to a report from USA Today, it's faith based organizations that provide the most help to local communities in the immediate aftermath of natural disasters. This includes Hurricane Harvey - which bared down on Texas in the past two weeks, and Hurricane Irma - which just made its way through Florida. Faith based organizations work with FEMA officials, not against or separate from them, to deliver the best response to the most people. FEMA of course is the Federal Emergency Management Agency, which is part of the U.S. government. The Convoy of Hope, a non-denominational Christian organization, specializes in feeding. Before Hurricane Irma made landfall in Florida, the Springfield, Mo.,-based Convoy had three trailer trucks stocked with food, water and sanitary supplies parked in the state waiting to deploy to areas hardest hit, said spokesman Jeff Nene. In major disasters, the organization will set up feeding stations, sometimes at FEMA’s request and even using government-provided food and equipment. The Adventists have agreements with states around the country to provide warehouse services in the event of a disaster. Over and over again in public comments as Hurricane Harvey was soaking Texas and Louisiana, FEMA administrator Brock Long asked concerned citizens to go to NVOAD.org to make donations – that is National Voluntary Organizations Active in Disaster, the alliance of volunteer organizations that are helping FEMA channel disaster assistance into the affected areas. About 75% of the organizations that are part of the alliance are faith-based. You can read more about the report here, which details the efforts of a number of faith based organizations currently conducting storm relief.